We have been notified by a US official of their decision to close the Palestinian Mission to the US. This is yet another affirmation of the Trump Administration’s policy to collectively punish the Palestinian people, including by cutting financial support for humanitarian services including health and education. To this regard, we will take the necessary measures to protect the rights of our citizens living in the United States to access their consular services. This dangerous escalation shows that the US administration is willing to disband the international system in order to protect Israeli crimes and attacks against the land and people of Palestine as well as against peace and security in the rest of our region. We reiterate that the rights of the Palestinian people are not for sale, that we will not succumb to the US administration’s threats and bullying and that we will continue our legitimate struggle for freedom, justice and independence, including by all political and legal means possible. Accordingly, we continue to call upon the International Criminal Court to open its immediate investigation into Israeli crimes. Nevertheless the international community has the responsibility to react. 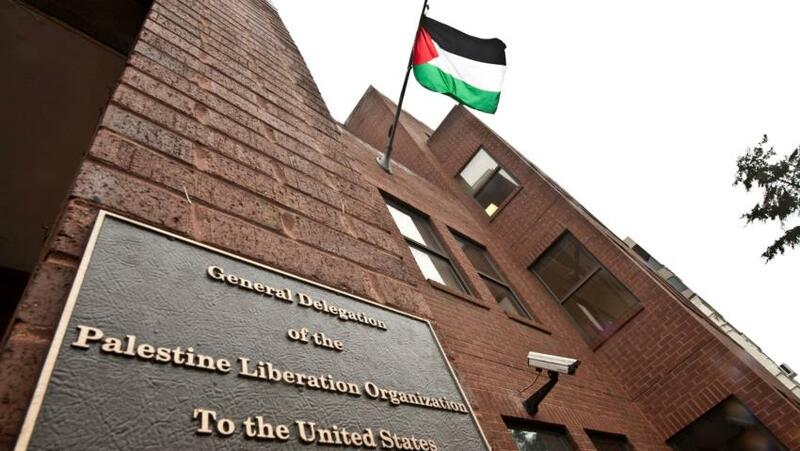 Lowering the flag of Palestine in Washington DC means much more than a new slap by the Trump Administration against peace and justice; it symbolizes the US administration attacks against the international system as a whole, including the Paris Convention, UNESCO and the Human Rights Council among others.